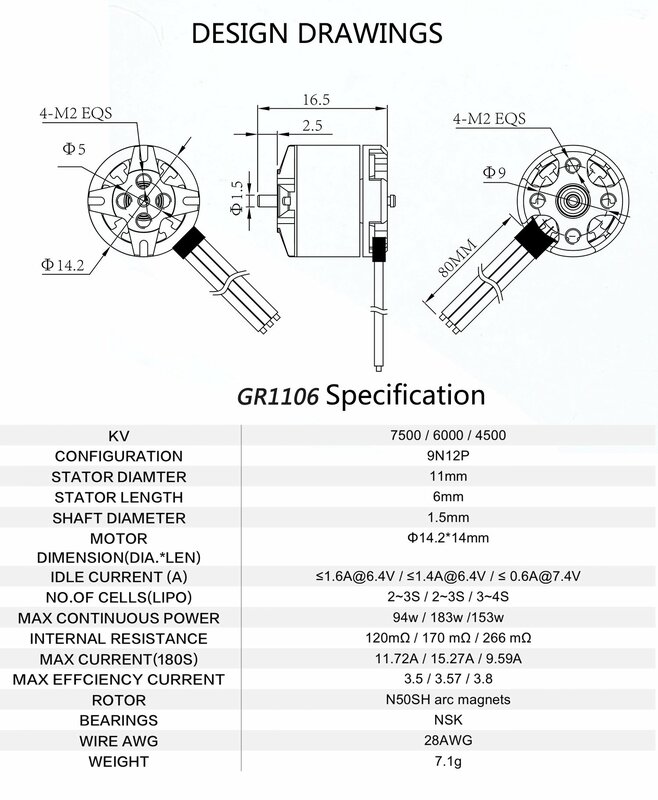 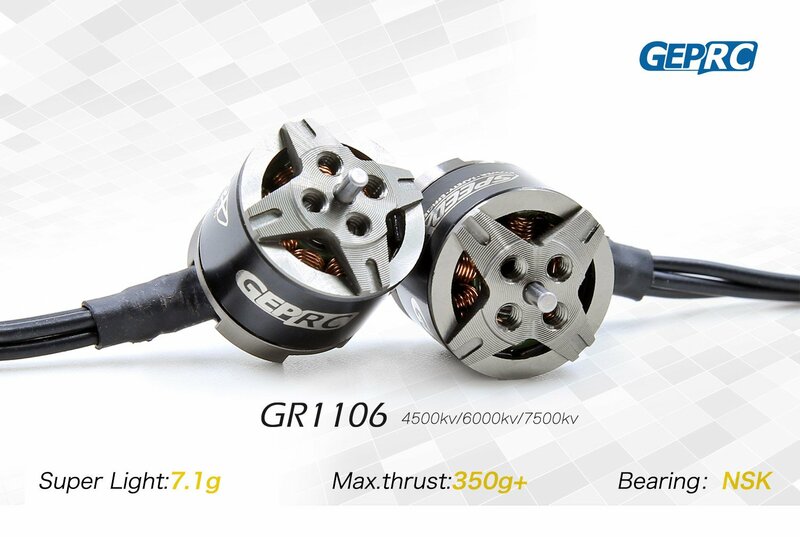 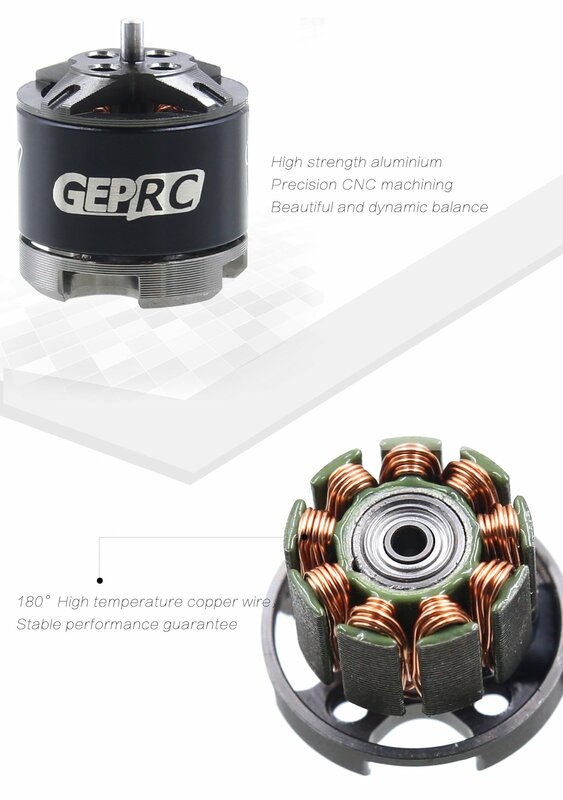 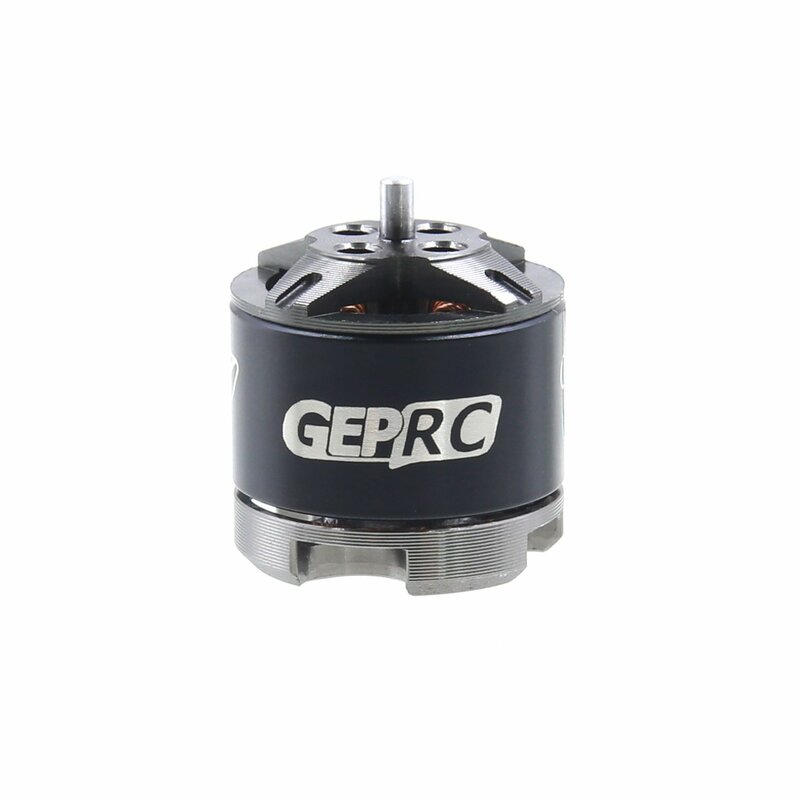 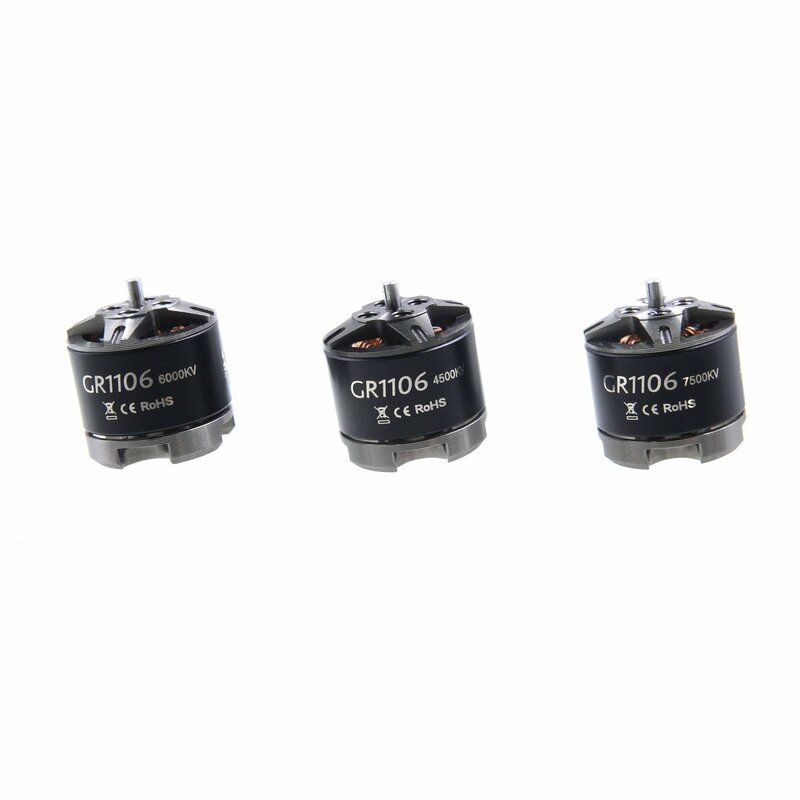 GEP-GR1106 is a small motor designed by our GEPRC team for interior design, which have three kv choice. It’s 4500kv, 6000kv, 7500kv. 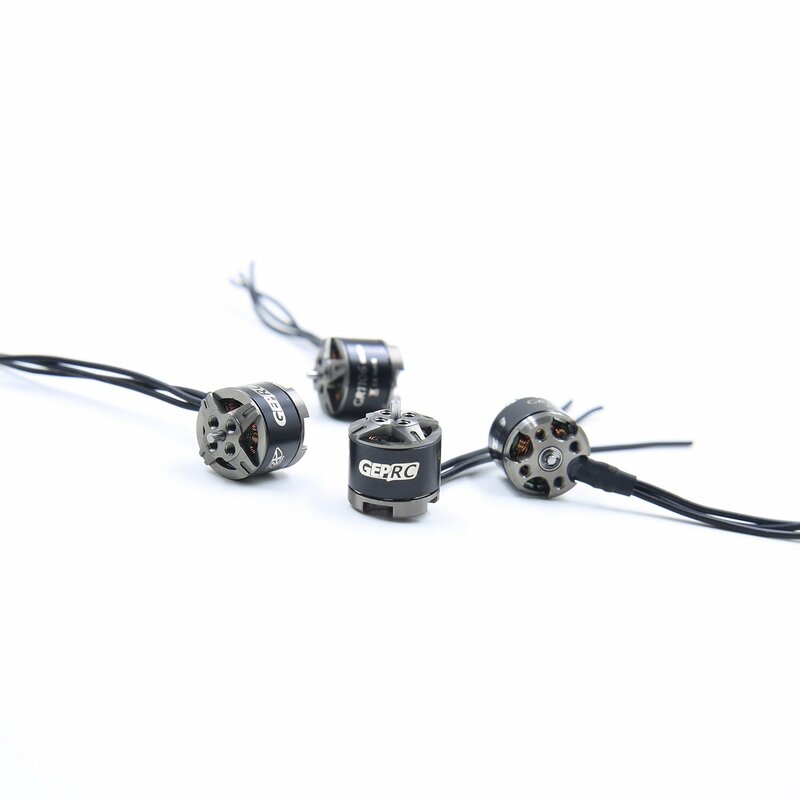 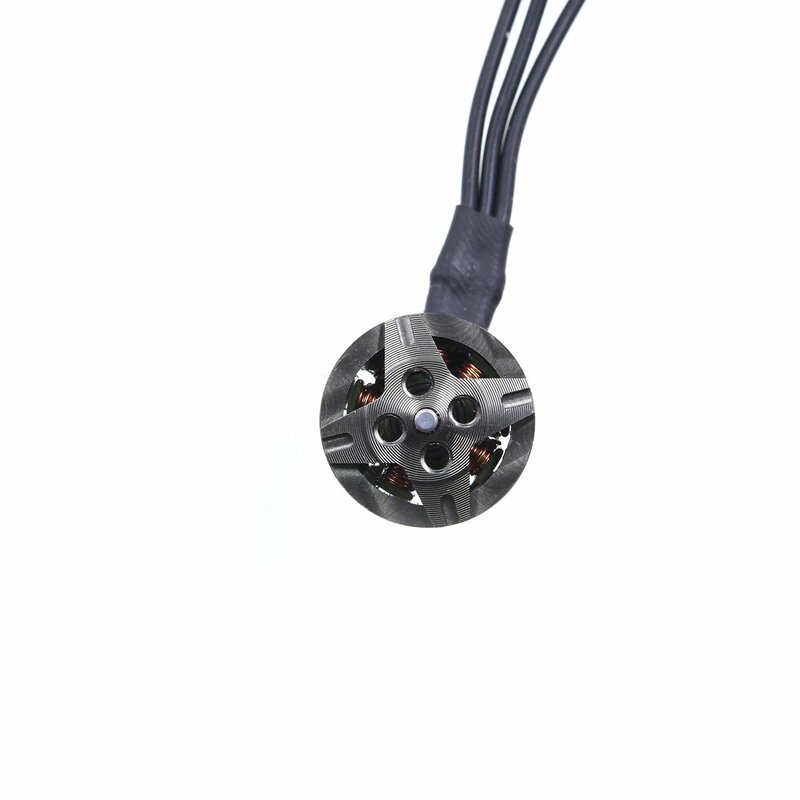 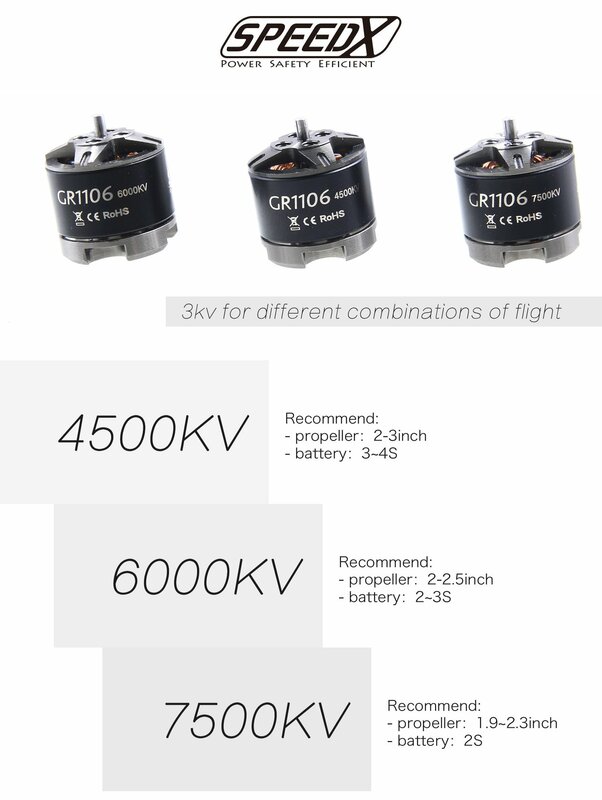 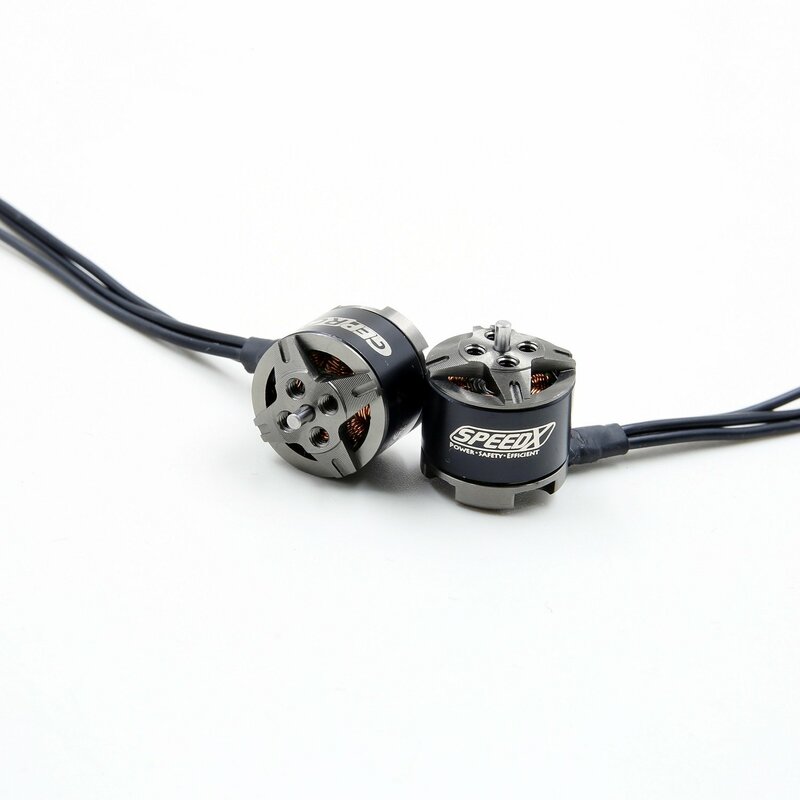 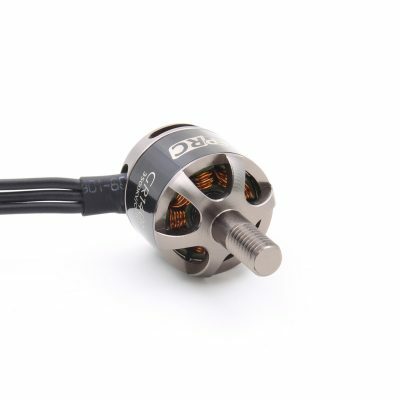 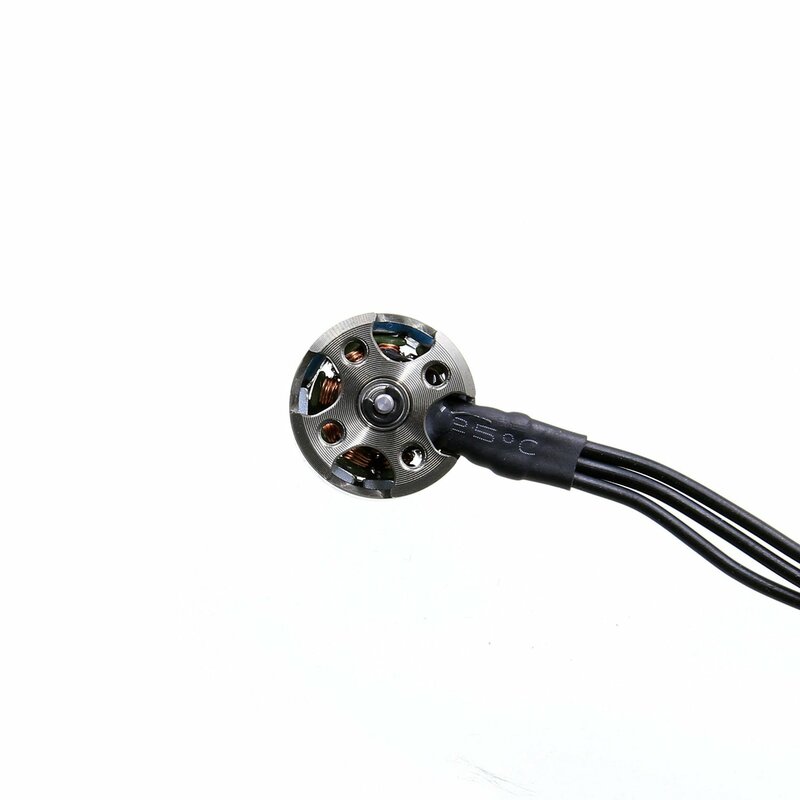 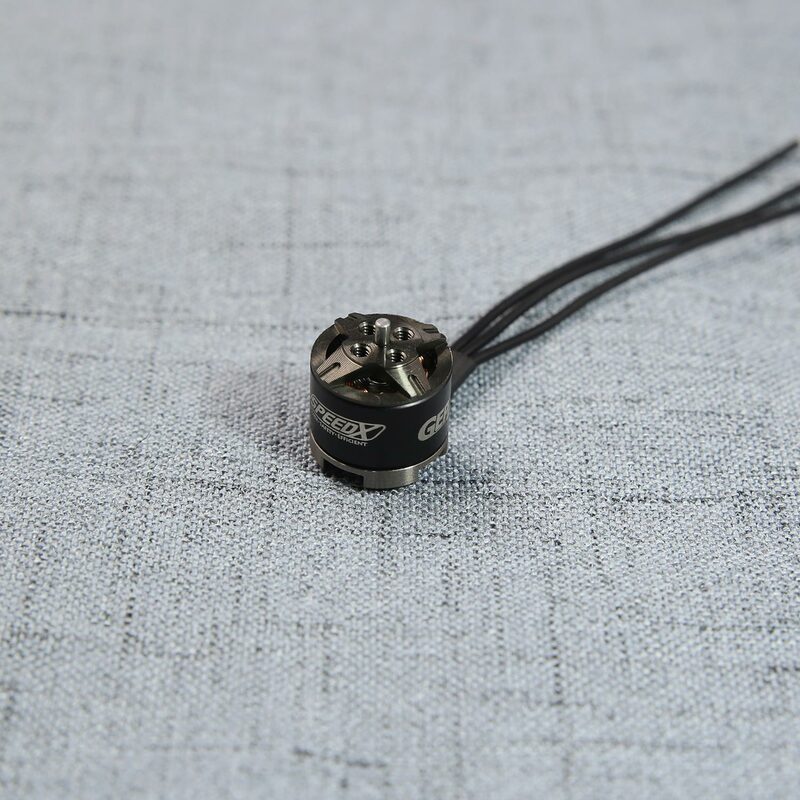 Each KV has its own usage and collocation.4500kv is recommended to use 2-3 inch propeller, 3-4s battery.6000kv is recommends 2-2.5 inch propeller, 2-3s battery.7500kv is recommends 1.9-2.5 inch propeller, 2s battery.